Polaroid Snap Instant Digital Camera is the Polaroids solution for competition they have in cheap instant camera market from Fujifilm. After a long time they have released a budget instant photo camera which is also digital. It seems they are planing to give a good fight for Fujifilm Instax series and take a bigger market share. First thing you need to know about this camera it even thought it’s a digital model you can’t replace a real digital camera with this one. Polaroid Snap has small 10MP sensor so don’t except way too sharp photos than you can expect from any Instant picture cam. But photo quality is not it’s main focus. It can print photos instantly and also same time save those into a SDHC memory card (You can use upto 32GB cards) which let you move images to other device like computer or phone. You can move images using USB cable but if you want something better then you check Polaroid Socialmatic Camera which has inbuilt wi-fi. But that camera cost you around $250. 10 mega pixel sensor and can use upto 32GB SDHC memory cards to save images. Power on/off can be done by raising the view finder and lowering it. It has 6 inbuilt photo modes to make your photos look cooler. Battery Low indicator (This feature is very helpful). There is a nice PhotoBooth mode. Powered by a built-in Lithium battery. Use Polaroid 2×3” ZINK Paper. This camera uses 2×3 size photo paper. There are 2 types of paper which you can use. There is Polaroid PoGo Zink Media photo paper which cost you around 30 cent use and comes with small white border around the photo. Also there is new Polaroid Zink Media Premium photo paper which cost you around 50 cent per paper and has no borders. Premium photo paper is generally known for giving slightly better quality photo prints. 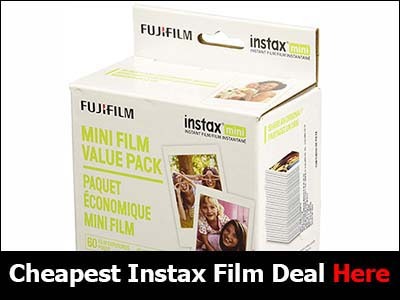 These are easy to use and very durable unlike old Polaroid film packs. Main advantage of this camera is it’s cheap and it’s cute. There aren’t many pocket size instant photo cameras out there. It uses cheap photo paper too when you compare with old Polaroid film packs. With this Fujifilm Instax series you can save your images into a memory card. It won’t give you dead sharp photos like a regular digital camera but that’s not the main focus when it comes instant film cam. Photos are decent as long as you don’t try to do it in low light. Main problem is the sharpness of photos. If you want really really good and sharp photo prints then it’s better buy a Fujifilm Instax Mini 90 camera. It’s not digital but it can do lot better job than this one. You will have pay like $50 more but it’s worth this. But that doesn’t mean this is a bad camera. That’s the only bad thing I can tell you about the camera. You won’t be happy with indoor or low light photos. to make it worse it doesn’t come with a flash. Maybe it’s not the best instant camera out there but it’s good. I think it’s a great camera for just $100. Easy to use and looks cute. Not many fancy options though. I wonder if Polaroid ZIP is better camera than new Instax 70. New Instax 70 camera looks great and I have heard lots of good things about it. This one look really good for 100 bucks. It looks cute and photos look good too. I have to check more about this model. This may be the cheapest instant camera in market. I mean when it comes to cheap Polaroid cameras. Finally a decent Polaroid camera for budget price. It looks cute and new photo paper is cheap too. So only thing I wonder is if photo prints would be decent quality. They should had releases Polaroid Snap years ago. 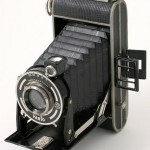 They have lost most of Instant camera market to Fujifilm because there were no other low price Polaroids. So finally Polaroid has offered a real cheap camera. I can see in that Amazon ad price is listed as 78 usd. That’s great. Does it same images into a SD Card ? I had one of those old Polaroid PoGo cameras. Then I had a Polaroid Z2300 camera. But its battery is dead an I can’t find replacement battery for it. This is my problem with new Polaroid instant Digital camera. They should use normal AA batteries like Fujifilm does. 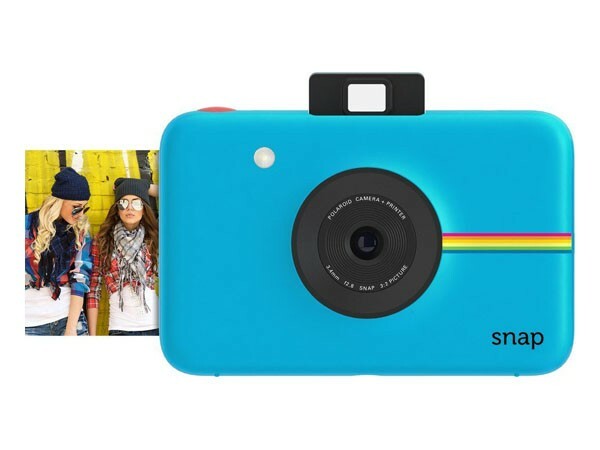 There is an newer version of this Polaroid Snap camera which comes with a touch screen. But it’s twice expensive than this model. Personally I wouldn’t pay more money for a touch screen. This one is good enough for me. Yes I agree with Battery problem. They use either use more generic version of Lithium battery which is available everywhere. Fujifilm Instax also use Lithium battery for their more newer versions.